Friday is here again! Yay! What do you have planned? We have football, football and more football. And also a wine festival. Should be pretty fun! So, I've been using the MyFitnessPal app for about six weeks now. I'm down four pounds! I'm pretty happy about that number at this point. I'm going to keep it up and see what happens. The best thing is that I'm so much more aware of what I'm eating and making much healthier choices. I haven't had headaches or stomach aches, which I used to suffer from all the time. It's becoming a lifestyle change for me which I think is fantastic. 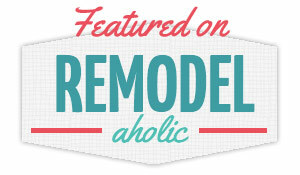 I highly recommend the app– it' free! 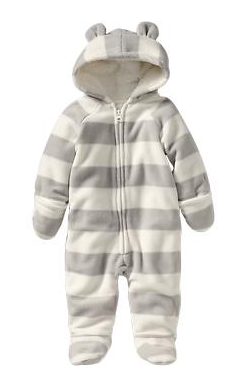 How cute is this baby outfit from Old Navy? They are having a big baby, toddler and maternity sale this weekend. I'm going to stock up on the cuteness because I feel like I have a million friends having babies right now! Like I mentioned yesterday, World Market is having a sale on dining furniture, dishes and tableclothes. 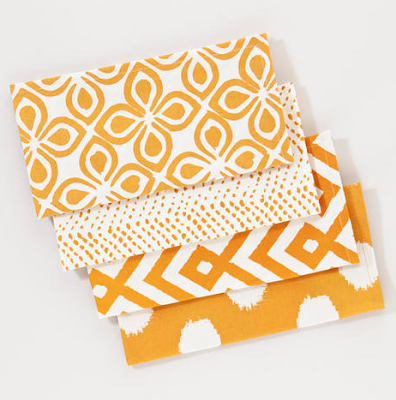 I love this cheery set of napkins! Are you ready for Autumn? I know I am! 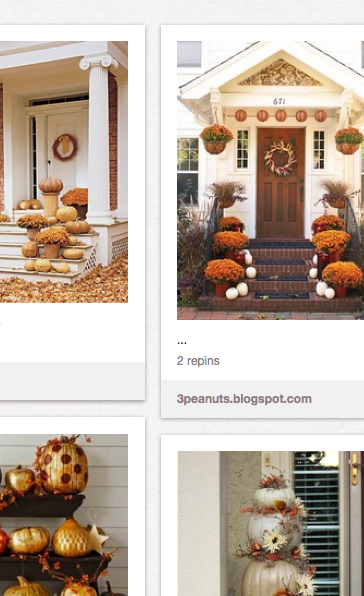 I'm already planning my fall decor, and I'm taking inspiration from my Fall Festival Pinterest board. I've been searching for some fake gourds to use around the house, but then I found this article about drying out real gourds. Then you can use them for years and years! I think I'll be trying that this year. I tried out this skinny pumpkin spice frappe recipe and it was really yummy! I also tried this water that's supposed to boost weight loss. I don't know if it boosted my weight loss, but I loved the refreshing taste of the mint, cucumber and lemon combo– definitely a nice change from regular water!